When you have finally decided to pop the question, it seems like everybody becomes interested of your next move—buying an engagement ring. People don’t hesitate to give advice that is said to supposedly make wedding ring shopping easier. 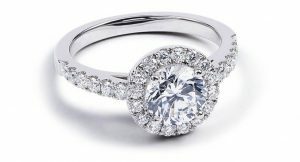 However, not all advices and the things we believe about buying engagement rings are true. Many of these are just myths and are actually completely false. When it comes to buying engagement and wedding rings, there are no necessary rules to follow. Here are the most common myths and the truth behind them. By far, this is the most misunderstood thing about buying an engagement ring. If you have been researching about wedding rings, for sure you have encountered that a good rule of thumb is to spend about three months’ worth of your salary for an engagement ring. However, this is a rule made decades ago to encourage consumers to spend more on wedding ring and grow the diamond industry. Today, with so many alternatives available and elements you can add on a simple ring to make it look more sophisticated, there’s no reason to constrict yourself to this rule. 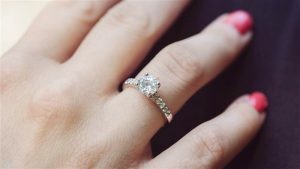 There are now so many options for different price range that buying a ring from an engagement ring shop in Singapore makes it all about your budget and how much you can afford. There’s no specific number that serves as one-size-fits-all answer as to how much a person should spend. While a diamond’s most important criteria is its brilliance and clarity, it is not its only criteria, especially with coloured diamonds. Tradition and symbolism of love can still be greatly achieved with a ring that we don’t typically see on every bride’s hand. More and more women are embracing the beauty of coloured stones because although they love diamonds, they also want something unique and one of a kind. Coloured diamonds, for example, are also graded based on 4Cs (colour, cut, clarity and carat), with the colour as the most important of factor. Therefore, clarity and brilliance doesn’t matter as much with coloured stones. And even if you go for the colourless one, you can accentuate a less bright diamond with a halo of yellow or pink stones to make it look more expensive. It is very common for people to think that women want a huge stone on her finger. In a society where bigger is always seen as better, it’s no longer a surprise that bigger diamonds appear to be more likeable. There is also an outdated belief that the bigger the diamond, the bigger love the man has for the woman. But believe it or not, not all women want a gigantic diamond ring. Some prefer the charm of smaller, more sophisticated stones on their finger. And, not all jobs here in Singapore allow women to wear big-stoned jewelleries. Ring shopping is not just about your preferences for your soon-to-be fiancé, but also about getting the right one that suits her lifestyle. Diamonds hold their value very well, making it possible for people to resell or pass on diamonds from their engagement rings. One reason for reselling a diamond ring is divorce, and for many, buying a ring from a divorced couple is a bad omen for soon-to-be married couples. But of course, we all know that the future of the marriage depends on the relationship you have with your partner. Rest assured that the story behind a recycled diamond will not impact the future of your life together as husband and wife. Plus, it’s a great way to save extra money if you buy a second hand stone or proposal ring. Even if you don’t know much about diamonds, you know that round cut is the most popular choice iof diamond shape. What many of us don’t know is that while round diamond is the most well-known cut, there are plenty of options that could be far better. Furthermore, if you’re considering coloured stones, round cut is usually more expensive since it takes time and effort for the jeweller to polish the stone to make the colour visible without affecting its clarity. Less common shapes for a proposal ring include oval, emerald, heart, asscher, pear, marquise and princess, all of which offering a chock full of personality and unique beauty. Round diamond may be the perfect cut for some, but don’t forget to factor in your woman’s personality, lifestyle and overall nature. Popping the question with a ring on your hand has always been a romantic way of proposing. However, more and more modern couples in Singapore are embracing the practicality of shopping together for engagement rings. Yes, it will no longer be a surprise, but you’ll be 100% sure that your fiancé will love and wear the ring for the rest of her life. Moreover, shopping with your significant other not only gives her the privilege to pick the ring she wants, but also gives you the opportunity to talk about budget. An engagement ring is a major expense, and there will be more expenses to come for the wedding. Now that you know the truth behind the popular beliefs about engagement rings, you are in a much better position to make a smart decision and shop for the right ring for your significant other. Amateur photographers usually pursue or practice photography just for fun or as a hobby. Most amateurs at wedding photography don’t ask for money or financial reward because the simple act of taking photos is reward enough for them. Sometimes the work of talented amateurs can be lined up along with the works of professionals. Commercial photographers use their images or photographs for profit. Commercial photography covers the field of advertising, editorial, fashion, portrait, wildlife, wedding photography, food and many more. 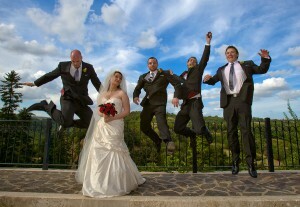 Here in Singapore, wedding photography can be a promising and lucrative profession. 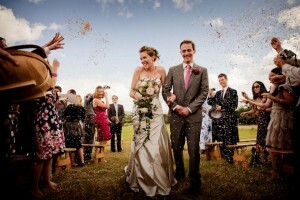 Many companies, magazines, advertising agencies and newspapers use photography to entice their customers or readers. Today, for photographers, photography is an art. Though there are many contentions about including it in the field, photographers fought that it is still a work of the creative mind and it seeks to give a message therefore it should be an art. There is no doubt that many people are fond of photography, as evidenced by the many exhibits and galleries in the country. If you are very interested in some works, you can choose to buy it. Forensics is the application of methods and techniques to solve a crime. Crime fighting is effective with the help of camera or photography in general. Cameras are used to record or document phenomena. With its coming, things got better in relation to criminal law. This is a proof that cameras or photography in general created a huge impact in human development. All things mentioned above are good things, but you should be careful where you point your camera. Camera can be both good and bad in the society. Its goodness is seen in forensics and police work (surveillance). Its badness is seen if it is used in intruding other people’s private lives. Regardless of how you see photography, there is still one common thing – the portraying of an emotion. The effectiveness of that portrayal, especially on weddings if you love perfect wedding photography in Singapore you will realize that a good photo depends on the combination of many things, such as light sensitivity, aperture, shutter speed, focus and many more. You should know the basics of camera handling so you can get sharp and clear images. Looking for the perfect camera to train your wedding photography skills is not that hard, especially here in Singapore where everything is new and up to date. If you pursue photography as a hobby, you do not need to purchase expensive camera and its accessories. You should wait for the Great Singapore Sale and you will surely find something worth your money and effort.